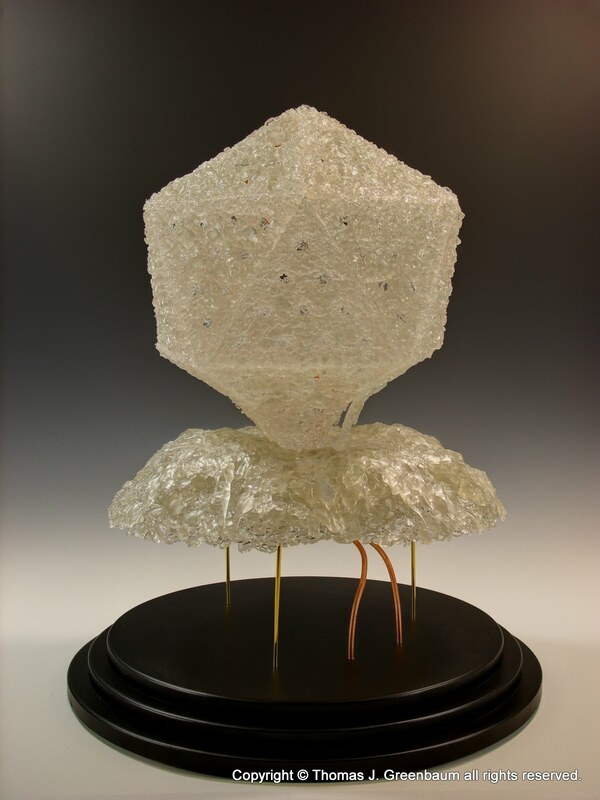 Kiln-cast glass sculpture. 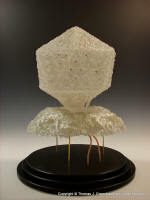 The subject of the sculpture is a virus attacking a cell. 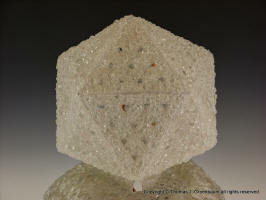 Twenty triangular kiln cast glass panels form the icosahedral structure of the virus protein capsid. The icosahedron’s beautiful symmetry hides the dangerous nature of the viral morphology. 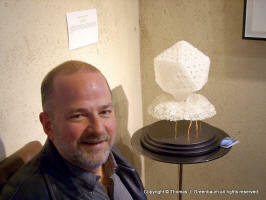 The sculpture captures the moment at which the virus has breached the cell. A portion of the violated cell membrane, portrayed in cast and slumped glass, shows the destructive effects of the viral invasion. Two strands of viral DNA represented by spiraling copper wire enter the cell membrane. The viewer can now visualize how the cell's metabolism will be taken over by the viral genetic material. 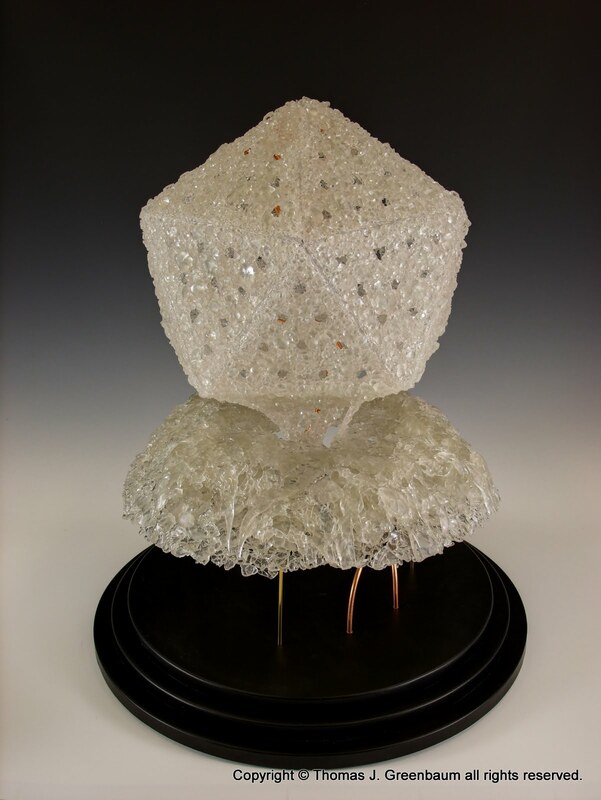 The sculpture is made entirely of kiln-cast recycled glass. 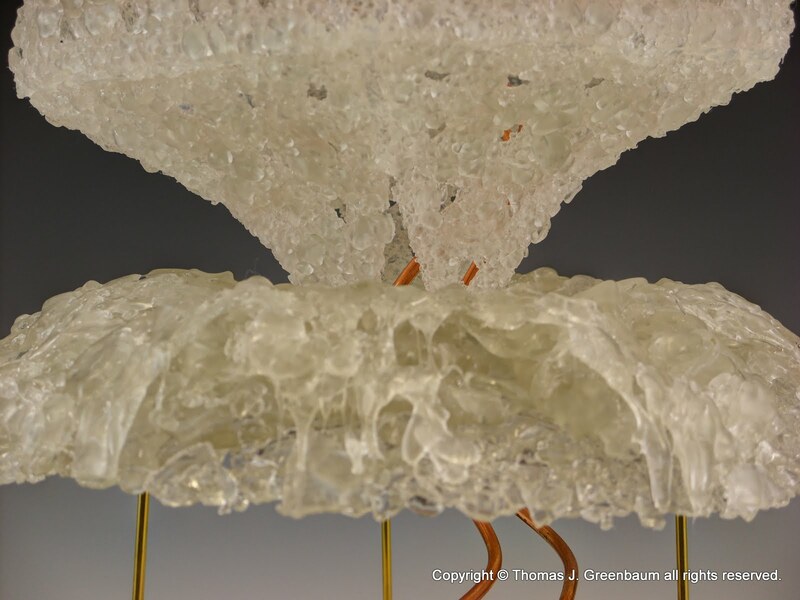 Other materials include copper wire, brass rod, silicone adhesive and wooden base. The sculpture was completed just in time to submit for the "Call for Work: The Art & Science of Systems Biology" at the Santa Fe Complex. This one was a real challenge. Lots of experimenting with new materials and techniques. I had only 3 weeks from initial concept to the deadline for the exhibition. It was a very ambitious project. At times I didn't think that I would make the deadline. Good news is I learned a lot that I will use in future art pieces.